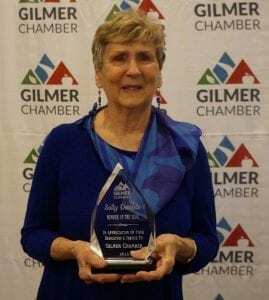 ELLIJAY, Ga. – With the vote still set to be made, current indications are saying that the Gilmer Chamber may dodge a termination of their contract with the Board of Commissioners (BOC). The vote is set for tomorrow’s, January 10, Regular Meeting agenda. 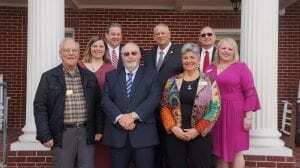 The subject matter, however, is a layover from the recent months when former Post 2 Commissioner Travis Crouch began questioning the Hotel/Motel Tax Split during the 2019 budget process. Now, new Post 2 Commissioner Karleen Ferguson has taken up the banner to continue the discussion and added an item to the agenda for termination of the contract. “I’m just asking for time,” said Ferguson as she explained that she fully respects the Chamber and what they have accomplished but feels that something is wrong. 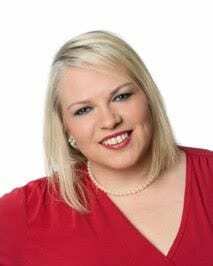 Stating that she wants the time to look into the Chamber further before an automatic renewal date comes next week, Ferguson did later clarify that it was her understanding from legal counsel that termination was the only way to renegotiate the contract. 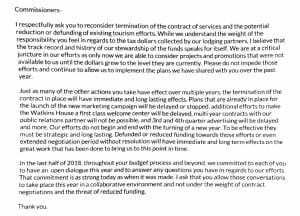 With nothing short of an uproar of concern from present Chamber Members and Board Members of the Chamber, a heated debate began regarding the impact and possible outcomes of a termination of the contract, even if later renegotiated. 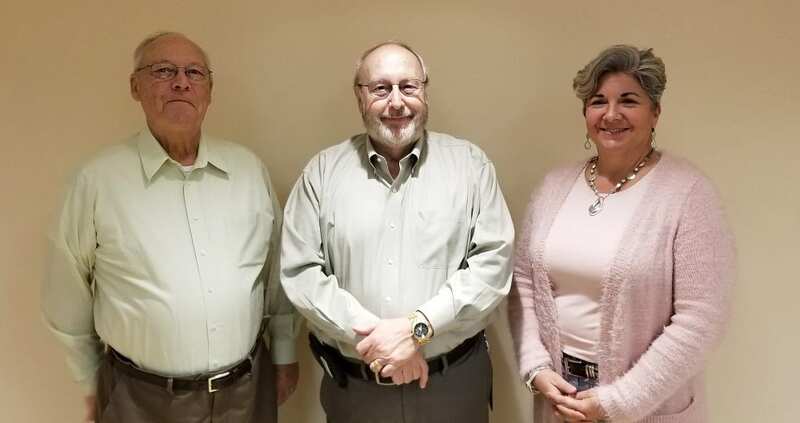 Several citizens commented on the subject including Chamber Board Chairman Trent Sanford who noted that negotiations could come without termination. He also noted an occurrence when this happened three years ago when the contract was renegotiated without a termination. Board of Commissioners Chairman Charlie Paris noted that he was adamantly opposed to terminating the contract. Post 1 Commissioner Dallas Miller was more in favor of changes to the contract, but did note he wanted to find a way to do it without terminating the contract. Ultimately, it’s not even clear if Ferguson will push the issue of termination as she repeatedly stated she thought that was the only way to renegotiate the contract with its pending automatic renewal. Citizens may not need to wait long into the meeting to find out, though, as Paris said he felt the issue was resolved and would be seeking to remove the item of contract termination from tomorrow’s agenda while leaving the item regarding Chamber audits and discussions of contract renegotiation open. 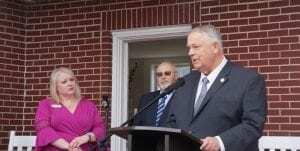 Both entities, the BOC and Chamber Board, agreed that the contract did stipulate that Hotel/Motel Tax Audits be done. The Chamber stated they have already begun the process to adhere to the imposing of that contract requirement. Follow FYN as we go deeper into the subject’s details after tomorrow’s vote at the 6 p.m. public meeting open to all citizens. 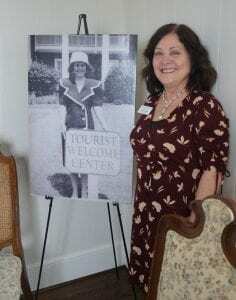 EAST ELLIJAY, Ga. – As 2018 prepares to enter the final month, year end events across the county are gearing up. 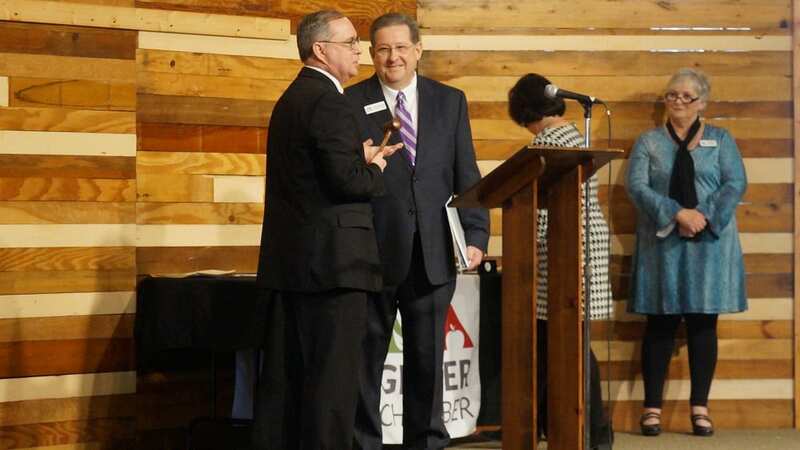 Along with this, the Gilmer Chamber’s Citizen of the Year Award is calling for nominations. 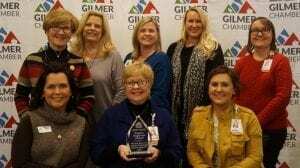 It’s not too late for citizens to place your final nominations by downloading the COTY 2018 nomination form in order to recognize an individual who has demonstrated a high level of service through their professional, community and civic involvement in Gilmer County. Of course, citizens cannot nominate themselves, but your nomination does not have to be a chamber member. Just ask the question of who you believe has made the biggest difference to our county this year. 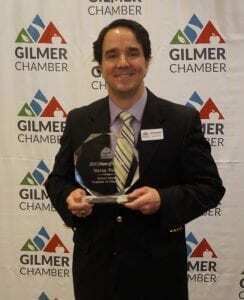 The chamber does ask that the nominee has contributed to a minimum of two different organizations, entities and/or programs and has lived in Gilmer County at least five years. The deadline for submitting your nominees application is next Friday, December 7. Applications are to be delivered to the Chamber or mailed in to the address on the application. 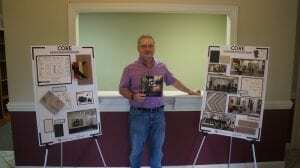 Find out more at the Chamber’s Citizen of the Year page. ELLIJAY, Ga. – New life is springing from an older foundation in Gilmer County this week with the CORE Facility on River Terrace, just off of Maddox Drive. Called the CORE (Collaboration on River’s Edge), the facility will host business offices and incubation locations for entrepreneurs and start-ups in need of an office or workspace without the hassles of long-term investment. Created by the Greater Gilmer Community Foundation, Kent Sanford Executive Director of the Greater Gilmer JDA (Joint Development Authority) and member of the Greater Gilmer Foundation, tells FYN the idea began with a visit to Carrollton, Georgia. Inspecting a business incubation center there, he began dwelling on the idea. 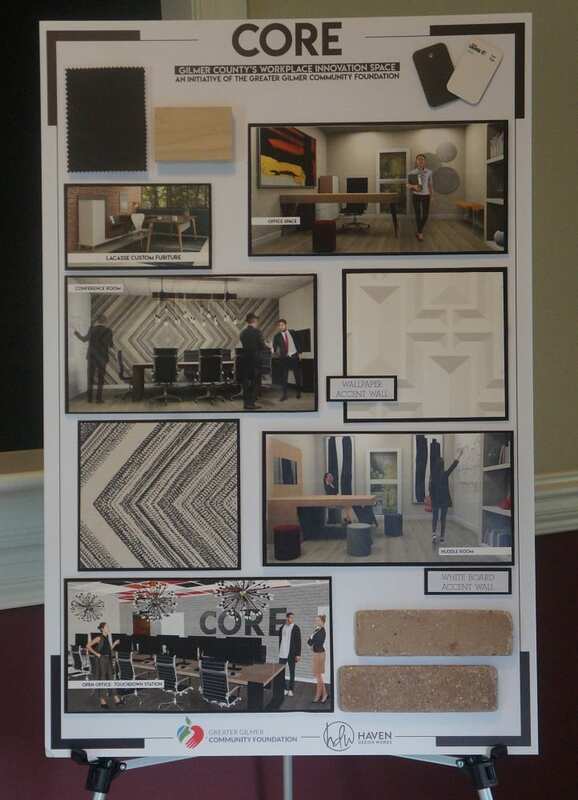 While the facility will host 13 offices and 2 conference rooms during its launch by the end of the first quarter in 2019, Sanford says the facility will be both an incubator for new businesses and a co-working space for small businesses. 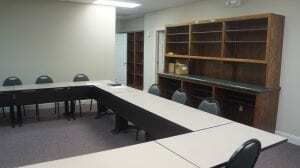 As an incubator, CORE stands to be a resource center for new businesses. As they take up residence in an office, they will grow and learn through cooperation with the foundation and educational sessions the CORE facility puts on. Additionally, the future plans of the CORE facility would also provide for business mentors to advise these start-ups on everything from day-to-day operations to faculty to financial decisions. As a co-working space, CORE will provide an office to a small business that may not need much space, but does need something like access to better internet than they may have at home. With utilities and furnishings provided by the CORE facility, this could give small businesses access to larger benefits to better present themselves to clients. With conference rooms and special areas available for scheduling, it also provides the amenities of a large office to be shared among those in office. 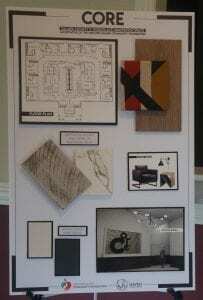 The amenities would not just be for those residing in the office spaces, though. Sanford says they are looking at a membership idea for other businesses with their own small offices that may still be in need of space temporarily for training seminars or business conferences. Looking past the businesses, Sanford said that other things like civic clubs and organizations could also find a use for the spaces. The idea flows that as new and old businesses alike start to grow in the CORE facility, they would reach a point and need for larger space, as the move to other larger locations, the offices open up to other new businesses. Additionally, Sanford says he hopes to see a variety of businesses utilizing the space to grow so that they benefit each other. For example, one Accountant next to a web designer could share services providing financial services o the web designer and a website for the accountant. In this way, the community feeds itself and strengthens each while maintaining close proximity for convenience. 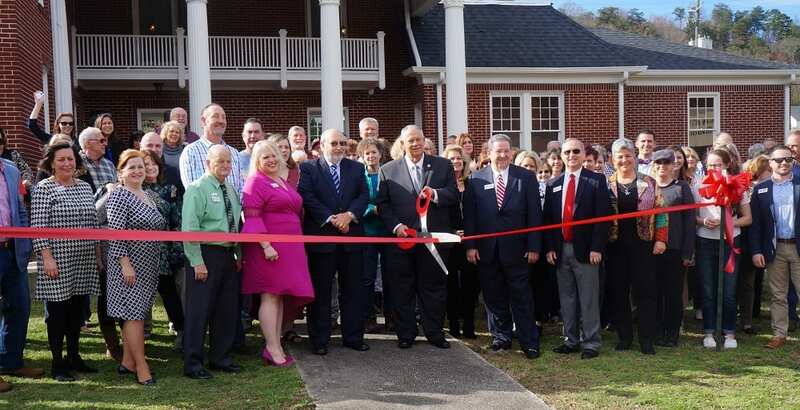 Sanford also noted that the resource center was not just for Gilmer County businesses. He wants CORE to become a Regional Resource for Fannin, Pickens, and Gilmer for those who need only to drive a short time to take advantage of the CORE facility. 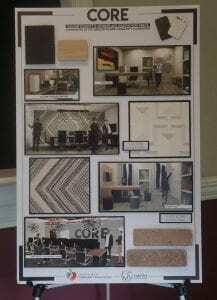 Working on their fundraiser right now, the Foundation hopes to see three phases of the CORE facility. In Phase I, the renovations will complete with the fundraising and open to the public by the end of the first quarter in 2019. In Phase II, the foundation will continue renovation onto the second floor to open up a larger open space for education and training in a 1,200 square foot space upstairs. In Phase III, hopes for the CORE Facility could extend into the schools for things like STEM Classes, STEM Saturdays, or other forays into education connection. Consolidating resources for these could include shared STEM kits or a shared expense for a STEM subscription service involving 3d-printing necessary components. However, specific details into PHASE III have yet to finalized, but Sanford said the general idea is to grow into partners in education in the county. As a part of the connection for education and incubation for new businesses, Sanford says he hopes the facility will ultimately have a real impact on the growing trend of educated students leaving the community for careers elsewhere. As it is still in the fundraising stage, plans for the facility could shift, but Sanford states he already has people looking to rent space in the building. 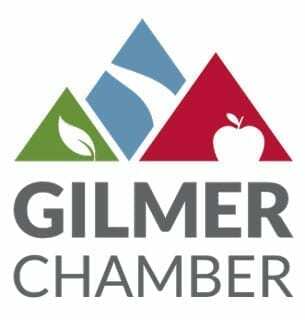 For more information on the campaign and growing the CORE Facility, contact the Greater Gilmer Foundation at 706-635-2673 or check out the Greater Gilmer website.